Most of us know what it feels like to be lonely but do we really understand the whole concept of loneliness. In my own experience, I can tell you that it is an awful feeling. 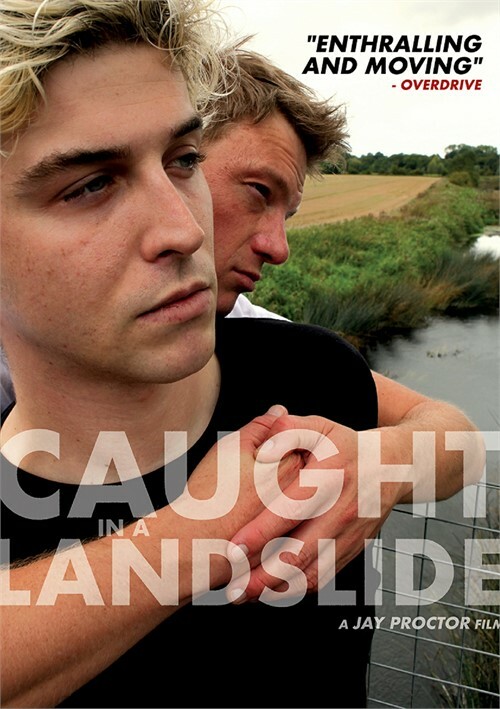 In "Caught in a Landslide" we meet Jay (Wade Radford), a young man who knows true loneliness. We meet him as he reminiscing to himself (with the help of drugs and alcohol) all those memories he once shared with others. These lost memories are described poetically and as he listens to himself, we eavesdrop on what is being said. We also realize that the entire film is poetic as it looks at the reality of loss. The film is based on Jay Proctor's "A Vision of Life". Jay Proctor and Wade Radford are the same person and because of this Radford totally rings true as he acts as Jay in the film. Jay is unable to close the door on his last relationship and he is filled with self-pity. He has visions of his ex (Robbie Manners) who appears to him in his dreams and even tries to come back into Jay's life. However Jay will have nothing to do with this as he continues to nurse the pain that he sill feels as a result of this relationship not working. As much as he misses his ex, he refuses to take him back. For me, what makes this such a fascinating film is that it has no narrative. It is quite simply a poetic approach to emotions and feelings. The atmosphere comes from Jay Proctor/Wade Radford's lyrical poetry. We do not get films like this often and they are so welcome when we get them.